We know from Florida Prepaid that a State has sovereign immunity in federal intellectual property cases, so that it can only be required to appear in federal court if it has waived the immunity. This principle has ended a trademark infringement case before it got started. 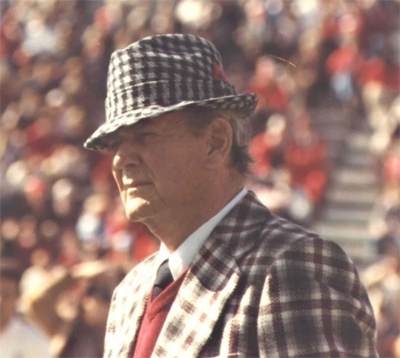 The wrinkle is that Glen Plaid’s use of the elephant logo is pursuant to a license granted by the University of Alabama as part of Alabama’s “Houndstooth Program.” Alabama’s mascot is an elephant, and Alabama claims that the houndstooth check pattern is associated with Alabama because coach Bear Bryant always wore a houndstooth hat. After Diaz filed the lawsuit, the University filed a petition to cancel the Diaz trademark with the Trademark Trial and Appeal Board. is designed to deal with whether all appropriate parties necessary for a complete resolution of the controversy have been joined in the case. The rule requires a three-step analysis: first, assessment of whether a non-joined entity is required for a complete resolution of the controversy; second, whether it is feasible to join the entity into the lawsuit; and third, if it is not feasible, whether equity and good conscience requires dismissal of the lawsuit. The University’s filing of a challenge in the USPTO to cancel the mark now claimed by plaintiff certainly indicates its claim of ownership to the mark. Although that challenge remains pending and unresolved, it shows that the University’s claim of ownership is not frivolous. For purposes of Rule 19(a), the University’s claim of ownership in the mark makes it a “person” required to be joined in this action. Both plaintiff and the University claim ownership of the mark in question, so it is clear that complete relief between the existing parties cannot be achieved without the presence of the University. Plainly, a determination that plaintiffs are the owners of the mark would “impair or impede” the University’s ability to protect its interest in the mark. An injunction prohibiting infringement by the defendant, who claims the right to use the mark only be way of a license from the University, would be tantamount to a finding that the University has no ownership interest in the mark. Additionally, such a determination would leave Glen Plaid “subject to a substantial risk of incurring double, multiple, or otherwise inconsistent obligations because of the interest.” An injunction in this action would prohibit defendant from using the mark while subjecting it to an inconsistent obligation to pay royalties under the license agreement with the University. Therefore, the court finds that the University is required by Rule 19(a) to be joined in this action. [P]laintiffs retain an adequate forum for addressing the controversy over its ownership rights. Plaintiffs acknowledge that the University has elected to file a trademark challenge to the plaintiffs’ mark in the USPTO, seeking to cancel the mark. Although it is true that the cancellation proceeding does not directly address the alleged infringement by Glen Plaid, it may ultimately resolve the conflicting claims of ownership between plaintiffs and the University, Glen Plaid’s licensor. Thus, plaintiffs are not left entirely without a remedy. If they succeed in defending their ownership of the mark, they are in a much stronger position to pursue an infringement action thereafter, notwithstanding the absence of the University from such litigation. Hmmm. The court treats this as a dispute over the same mark, which it clearly is not. 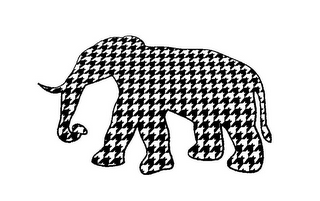 In its Petition to Cancel, Alabama has pleaded a number of logos that include an elephant, but none that are a silhouette similar to that used by Diaz and none that incorporate houndstooth. The TTAB isn’t going to find that one or the other owns “the” mark, but is instead only going to decide whether there is a likelihood of confusion between two separate marks. The TTAB will therefore have done nothing to resolve the ownership claim that the district court believes is at the heart of the infringement lawsuit. I don’t disagree that Alabama is an indispensable party, but to the extent the court’s decision to dismiss the case was because it believes the TTAB is an effective alternate forum, it’s decision was wrong. And an interesting choice by Alabama to not agree to be joined in the federal court, given its past unsuccessful history before the TTAB trying to prove that it had rights in the houndstooth pattern (albeit not also with an elephant). Diaz v. Glen Plaid, LLC, No. 7:13-cv-853-TMP (N.D. Ala. Oct. 11, 2013).